Estrogen dominance is when your body produces excess estrogen in relation to the amount of progesterone. Estrogen dominance can be reduced by supplementing with Bioidentical progesterone cream and by reducing your exposure to environmental toxins or xenohormones. 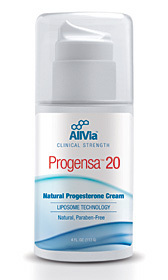 Recent studies indicate that bioidentical progesterone cream curbs hormonal imbalances. Beyond the treatment of liver disorders, everyday care of the liver lays a cornerstone for total body health. Naturopaths and others who look beneath the symptoms of an illness to its underlying cause, often discover that the liver has had a role to play. This is true across a vast range of different ailments from headaches to PMS.